It’s all about the balance…balancing work and life is a big topic with many employers now realising how critical it is to get it right, not least of all because of many illnesses that are born from stress. Everyone wants to have a balanced life, but it seems to be easier said than done. “Smart phones are the modern professional’s biggest blessing and biggest curse,” said Lewis Howes, entrepreneur and author of “The School of Greatness” (Rodale Books, 2015). Email, What’s App, Slack, Skype and any number of others can begin to totally occupy our lives. Because of them, you can work anywhere at any time (even until your bed time!) and remain connected to the office 24/7. Without clear boundaries of where your work begins and ends, your life is definitely far away from obtaining a comfortable work-life balance. Allyson Willoughby, Glassdoor’s Senior Vice President of People, said that promoting a healthy work-life balance can help with both recruiting and retention efforts. Here are some suggestions on how to give your well-being a boost along with your career. You should create a boundary between your working and personal time. Leave your work in a specific area and time. Setting a firm boundary around when you are and aren’t available. This will help you to relax and avoid burnt out, while also helping others manage their expectations of you. “Work smarter, not harder”. Making a To-do list is important, especially when workloads are high. These are prioritized lists of your tasks every day that give a clear working direction, what to do first and when to do what. Not only does it makes sure you won’t forget anything important but will also improve the time management, thereby reducing stress! Furthermore, you can focus your time and energy on high value tasks which make your work more productive and efficient. If you don’t want to use the traditional pen and paper method of list making there are plenty of different free tools which can sync with your smart phone to help you to make your To-do list like todoist, tooledo, any.do, wunderlist. “We are addicted to our smart phones.” It is almost impossible to look around and not see people on their smart phones! 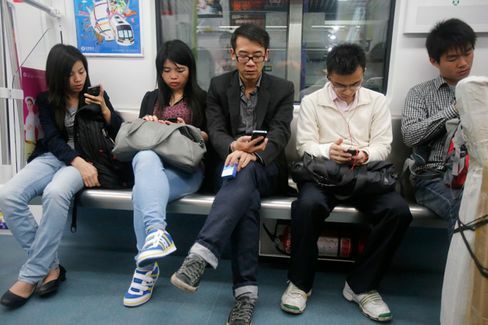 Addicted to the smart phone screen, you see it everywhere, meal times, on the subway, at home, in the office, even in the toilet. We are in danger of never leaving the workplace, living in an “always on” culture. How often have you heard people say, ‘I can’t live without my smart phone’. We should change this bad habit immediately. You could turn off the technology to let your brain relax; it helps you focus on the moment and get back to quality time with friends and family. Feel overwhelmed with work? Make sure you reserve some time for yourself. Reading a book, watching movie, doing exercise, relaxing activities to help recharge body and mind. Doing exercise makes people happier and more positive in their thinking. When you exercise dopamine is released into your brain this chemical that plays an essential role in happiness. Moreover, doing exercise can reduce stress and improve your sleeping quality.